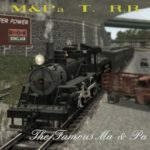 A route which depicts the first 5 miles of the "Ma and Pa" once located in the Jones Falls Valley of Baltimore, Maryland. 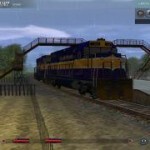 Maryland Midland Skin for the built in GP-38 loco in Auran Trainz . Originally made for UTC, known to work in TRS2004.